If you are still paying $2.50 to $5 a tube for lip balm, it’s time to save some money. If you are still buying petrolatum based lip balms let me show you a better way. 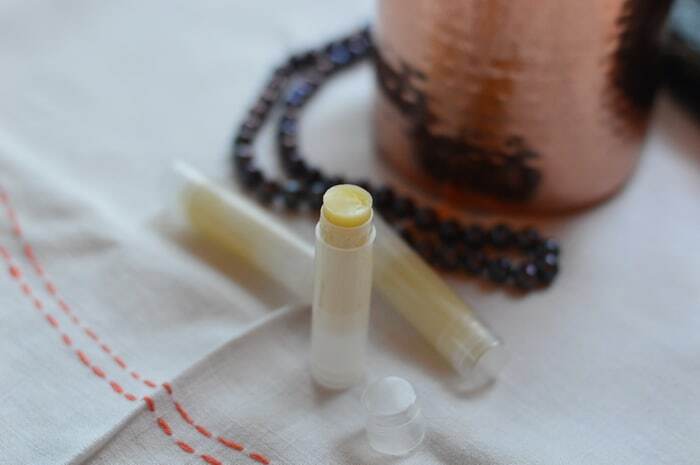 You can make lip balm at home with just 4 ingredients, including the essential oil. When you make your own you control the quality of the ingredients. That’s pretty important when you are putting the product on your lips, don’t you think? Package it in reusable plastic lip balm tubes, lip gloss tins, or salve tins. You’ll have lip balm that’s better than store bought for just 3% of the price. Even natural lip balms like Burt’s Bees® Beeswax Lip Balm, contain potentially GMO ingredients like soy bean oil and canola oil. None of the ingredients on the label are certified organic, even though the label says “natural”. This leaves the potential for contamination of the product with glyphosate or other pesticides. Not exactly what you plan on licking off your lips when you apply a lip balm, is it? Why use a lip balm formulated for the season? 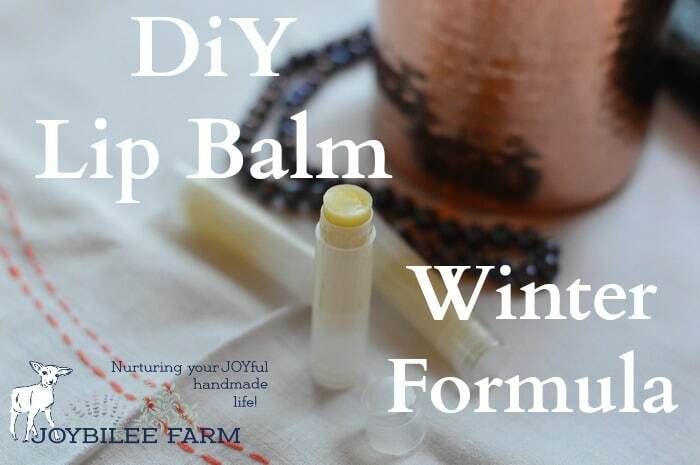 If you are making lip balm to use in a warmer climate use my summer lip balm recipe instead of this one. Commercial lip balms have ingredients that you don’t need to have in a lip balm. They contain preservatives and shelf stabilizers because lip balm can sit on the store shelf for a long time. Store bought lip balms aren’t formulated for the actual climate conditions in your region either. They are made in faraway factories, with little thought to how the final tube will be used. 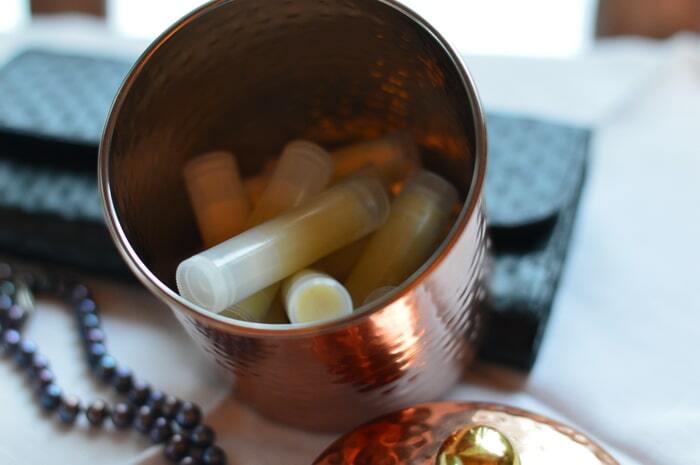 When you make your own lip balms at home, you control the quality of the ingredients. You can make them in small batches like this recipe, insuring that your lip balm is always fresh. You can add ingredients to soothe and heal chapped lips, dryness, or wind damage. You can also control the firmness of the final product. But homemade beauty products aren’t just about saving money. When you make your own you can be sure that the ingredients are ethically sourced, organic, and of good quality. I buy many of the butters and oils I use from ethical suppliers like Mountain Rose Herbs, or even from the organic section of my local grocery store. When shopping on Amazon for butters and oils, choose ethical suppliers, there are several. 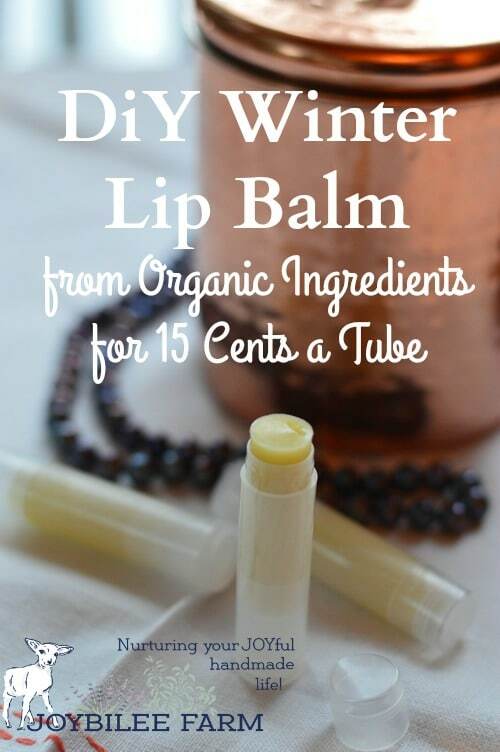 But even when I stick to certified organic ingredients this lip balm recipe is just 15 cents a tube. The recipe took a mere 20 minutes to make, package, and label. That’s like earning $85 an hour for the time it took to make lip balm at home. And did I mention how powerful it is to make your own lip balm, lotion, deodorant, or tooth powder! Let’s get started with the empowerment! Make a double boiler using a glass measuring cup in a pot. Add the beeswax, shea butter, and coconut oil to the glass cup. Melt the mixture over medium heat until the beeswax melts. Remove from the heat. Stir in the peppermint essential oil. Pour the mixture into 12 plastic lip balm tubes. 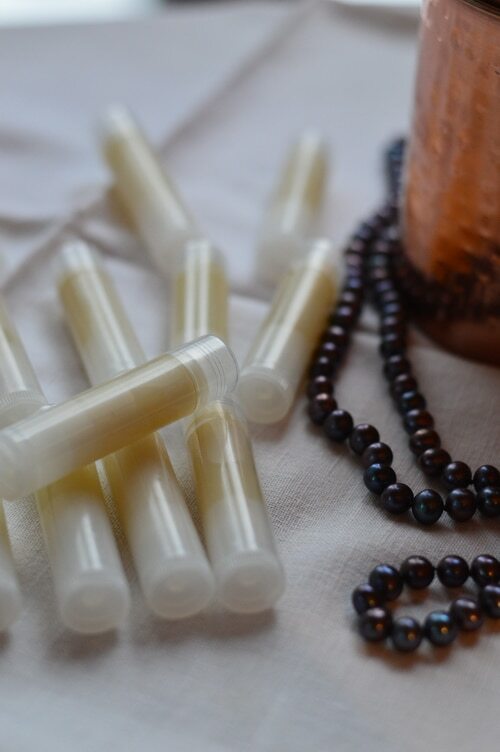 Allow the lip balm to harden in the upright tubes. Cap them securely. Label the tubes with the label of your choice. Apply this lip balm liberally to your lips as often as needed, particularly in dry, cold or windy conditions. Summer lip balm is firmer than winter lip balm. 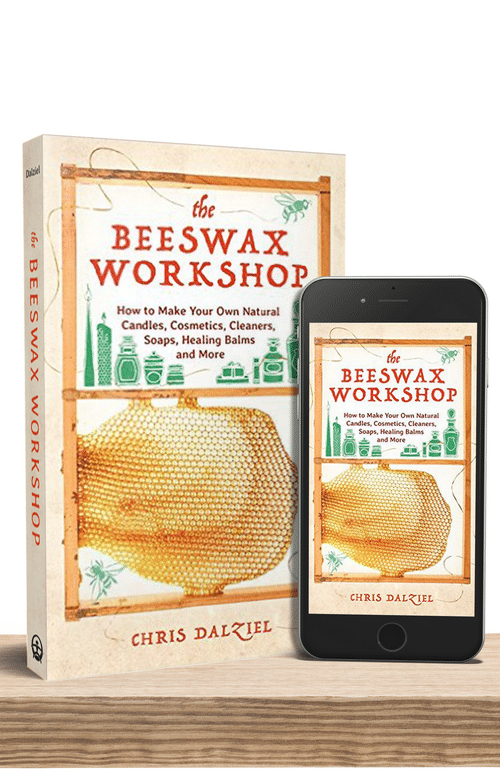 It is generally made with a higher percentage of beeswax and firmer butters like cocoa butter. 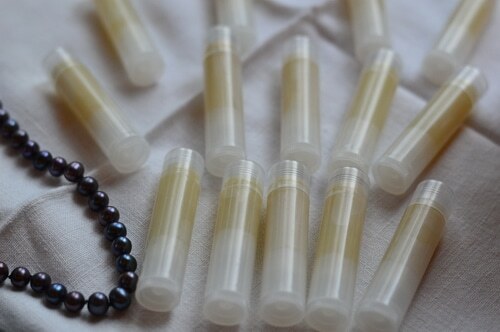 Try my summer lip balm recipe in 3 flavours here. Shea butter is used in this recipe because it’s a softer butter than cocoa butter. In the summer lip balm recipe cocoa butter is my choice because it’s a harder, shinier butter. But in winter shea butter gives a creamier, softer lip balm that glides on smoothly even in the cold weather. The extra softness is gentle on tender, cracked lips. However, shea butter comes in two different products. Raw organic raw shea butter has a scent and flavour. It reminds me of mushrooms. I don’t find it unpleasant and choose raw shea butter for its moisturizing and protecting properties. However, refined shea butter has been deodorized. It still has the creamy texture of raw shea butter but it doesn’t have the mushroom-y flavour or odor. If you prefer to have your lip balm without the strange taste, choose refined shea butter for this recipe. I am wondering how long the lip balm stays good for? I tend to only use one or two every winter and don’t want to have them go bad on me. My favorite lip balm is Burt’s Bees Coconut Pear. looking for product and tubes.